For Passport’s wine tastings we rarely sample “supermarket wines,” which are the ones most consumers drink at home on a regular basis. For Moscow this means wines that range from 300 to 500 rubles. So this month we are exploring the selection of wines at Metro, the German cash and carry operator. Metro, which has many locations in Moscow, requires membership for which only businesses are eligible. Readers should note that prices at Metro are significantly lower than at most supermarkets. 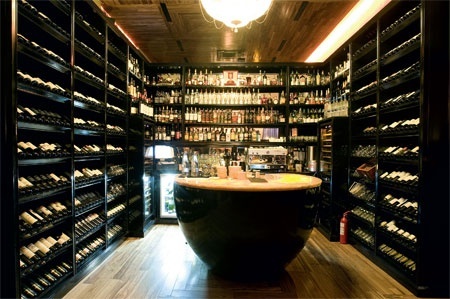 For instance, prices at Sedmoi Kontinent for five wines on our list were 21 to 48 percent higher than at Metro. Our selection included 11 whites and 10 reds from diverse wine regions (Italy, Chile, Argentina, Austria, Spain, California, South Africa, New Zealand, and Israel) and respectable wineries such Italy’s Masi, South Africa’s Backsberg, Baron Philippe Rothschild from Chile, and California’s Mondavi. Most of the wineries represented are large-volume producers that sell wines in supermarkets around the world. The next two whites were both New World and the highest scoring on our list: Villa Maria Riesling and Hardy Chardonnay, from New Zealand and Australia, respectively. Villa Maria is one of New Zealand’s top producers and a “cork-free zone,” using only screw caps like many wineries in Oceania. Hardy is one of the world’s giants, also big on screw caps. Planeta is a large family winery that produces some of Sicily’s finest and best-known wines. La Segreta is a blend of Chardonnay, Vionier, and the local Grecanico and Fiano grapes, producing a full-bodied rich wine. Castell de Vilarnau is more obscure, located in the Alto Penedes southwest of Barcelona. The last white wine was the Robert Mondavi Woodbridge Chardonnay. Woodbridge is one of Mondavi’s supermarket brands, ubiquitous throughout the world. I often use this brand as a reference in conversations about Moscow’s overpriced wine market. In Moscow, this Woodbridge was $13.31 at Metro and about $18.00 in a supermarket, compared with a shelf price of $6.99 to $9.99 in the United States depending upon the state, and the equivalent of $13.50 at Tesco in the UK. Then we switched to the reds, starting with Blaufrankisch from up-and-coming Austrian winery Hillinger (see Passport April 2008). Blaufrankisch is a hearty, red Central European grape that carries various names depending on the country. Torres is another huge producer, and its Sangre de Toro (blood of the bull), made from Garnacha and Carinena grapes, is found worldwide. The Villa Maria Pinot Noir (New Zealand) was a personal favorite of the evening, a wine that should make fans of the film Sideways happy to see such a good example in Moscow at this price point. Yarden is one of Israel’s best-known wineries, and its Mt. Hermon red, made from Cabernet Sauvignon, Merlot, and Cabernet Franc grapes, is kosher. The Archeo Nero D’Avola Ruggero Di Tasso is a real value wine at 231 rubles ($9.43), though just $5 in the US. The Chilean Millaman Merlot rated well, a classic example of wines from this grape. The Argentine Bodega Norton Privada provoked a discussion about Moscow wine prices with one guest, who defended the pricing saying “there are 20 percent taxes in Russia.” Yet the same could be said of taxes in the United Kingdom and Scandinavia, where virtually all wines are imports as in Russia but prices are still lower. The same wine was listed on the SoHo Rooms wine list (see restaurant review on page 38) for 2900 rubles, almost six times the Metro price. We then switched to Shiraz, starting with Delicato (California), a good value at 295 rubles and the only wine in our trial to score about 4.0. I first tried Backsberg Pumphouse Shiraz (South Africa) several years ago and loved it, and this was my personal favorite among the three Shiraz wines. 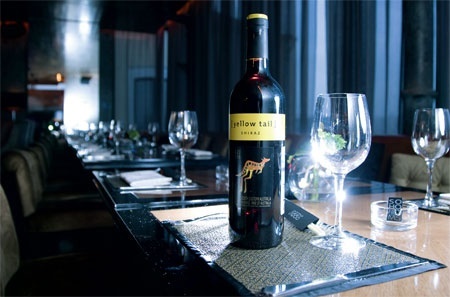 Yellow Tail Shiraz (Australia) is another wine that is broadly marketed worldwide and was a hit with many of the evening’s tasters. Wine Spectator gave this wine an 87 and described it as “soft, ripe, and appealing for its green olive-shaded black fruit flavors, finishing with a thin veil of firm tannins. Less sweet than previous vintages.” The 2005 Yellow Tail Reserve version ranked 72 in Wine Spectator’s list of the World’s Top 100 Wines of 2007. This month we charted our ratings versus price and noted a negative correlation: higher-priced wines did not score as well as lower-priced ones for both reds and whites. This might be indicative of the ability of the big, low-priced producers to find a taste that consumers like and then blend from different vineyards and sources to get that taste year after year. Now all you need is a Metro membership. Shiraz Mamedov, SIS USA, Inc.